Dynamo was approached by Nordeus, developers of the social game Top Eleven Football Manager. Whilst Nordeus had been growing steadily, reaching close to 2 million monthly users, it had received little publicity outside of its home country of Serbia. Dynamo was tasked to raise the profile of Nordeus, focusing on English speaking media in the UK and US, in an effort to drive interest in investors, advertisers, as well as customers. One of the classic story lines that get people interested is the challenger brand, particularly if is much smaller than its target. Dynamo wanted to introduce Nordeus to the main social, VC and technology brand by positioning it against EA games, who’d led the football manager sector on Facebook since launching in 2010. In May / June 2011 Dynamo launched the campaign based around a Serbian Soccer Upstart just as the two companies drew level amongst published user stats. 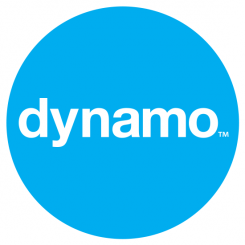 Dynamo carried out a series of interviews with top level social, VC and tech press, supported by strong imagery and 3rd party supporting statistics. Building on this campaign throughout 2011, Dynamo continually updated media with latest improvements of the game, including games availability on iPhone and Android platforms, and supported Nordeus by entering it into relevant industry awards. In mid 2011 over 30 articles appeared in key tier one media, including TechCrunch, All Facebook, Inside Social Games and Gamezebo positioning Nordeus taking over EA’s crown. Our client called us one week later to say they’d never had so many investment offers in one day! Nordeus continued to hit the headlines throughout the year, with interviews on BBC radio, Guardian coverage, key iPhone and Android blogger sites culminating with winning the best Gaming / Social Games startup award at the Europas in Nov 2011. In total over 130 articles were printed in six months, contributing to Nordeus reaching over 1 million DAILY active players, and breaking into the top 25 of all games on Facebook.